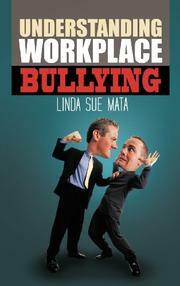 A timely look at issues surrounding bullying in the workplace. Many books address school bullying, but Mata’s (Flower in Bloom, 2012) nonfiction work instead analyzes the phenomenon of bullying at work. She differentiates bullying from harassment or incivility and discusses organizations’ cultures, and how the roles of organizational leaders in allowing or preventing bullying situations. However, although this book is well-intentioned, it doesn’t provide well-thought-out arguments. For example, there’s no widely accepted, standard definition of bullying; however, the book chooses one definition (“[R]epeated, unreasonable behavior directed towards an employee or a group of employees that creates a risk to health and safety”) without explaining why it’s better than others. Later, the book introduces the idea that a power imbalance between bully and victim is a “key component” of bullying—but doesn’t revise the previous definition to include it. The prose can also be confusing at times (“Workplace bullying or mobbing is usually displayed as indirect aggression. Indirect aggression is unclear and more studies are needed to produce information about indirect aggression in adults”). The book includes many citations and a long list of references from a wide range of sources—most published before 2000—as well as a short index. However, the book asserts that “more legislation needs to be enacted to enforce laws outlawing bullying and incivility in the workplace,” which seems to misunderstand the relationship between legislation and enforcement, and the book’s failure to reference the Healthy Workplace Bill—an anti-workplace-bullying bill that’s been introduced in 25 states since 2003—seems a serious oversight. A well-meaning but unclear overview.